The victim of a recent attack by the radical group Boko Haram has flown to the United States to confront the U-S military commander in Africa about the international response in Nigeria. Last week, militants ransacked the home of Abba Mohammed Bashir Shuwa. He decided to fly to Washington to appeal directly to the top U-S general in Africa. A Brigadier General, Enitan Ransome-Kuti, his Chief of Staff, Lieutenant Colonel G.A. Suru and some other senior officers have been arrested by the authorities of the Nigerian military over their failure to repel the attack on the headquarters of the Multinational Joint Task Force [MNJTF] in Baga. Mr. Ransome-Kuti, the Commander of the Multi-National Joint Task Force, MNJTF, his Chief of Staff and the other senior officers were detained shortly after they arrived Maiduguri from Monguno where they and their troops took refuge after they were dislodged from Baga. The arrest of the officers was exclusively disclosed to PREMIUM TIMES Wednesday by reliable military insiders who requested not to be named as they were not authorised to speak on the matter. Also arrested, our sources said, are the Commanding Officers of the 134 and 174 Battalions — a Lieutenant Colonel Haruna and a Major Aliyu. The two battalions are under the MNJTF but were also dislodged from their locations during the Boko Haram offensive of January 3. These senior officers, now being held at the officers’ mess of the 21 Armoured Brigade, Maiduguri, were arrested over their inability to repel the Baga attack in spite of the weapons in their arsenal. They have also been asked to account for the weapons lost to the insurgents. Mr. Aliyu is an acting commanding officer of the 134 battalion. PREMIUM TIMES learnt that the substantive commanding officer of the battalion, a Lieutenant Colonel Etang is already facing court-martial following a previous attack on his battalion on November 5, 2014. Our sources said military authorities are disappointed that the attack on Baga was not repelled by troops of both battalions and the MNJTF headquarters despite all weapons made available to them. The sources said the military authorities are especially angry with Mr. Ransome-Kuti for his inability to lead his troop to counter the Boko Haram onslaught despite the high calibre weapons and ammunition made available to his formation. The Brigadier General is also send to have gone underground for four days after the MNJTF was dislodged. Also, the Brigade Commander of the 5 Brigade, Monguno, a Brigadier General Yekini, who was injured in the Monguno attack on Sunday, is yet to be arrested because he is still receiving treatment for injuries sustained during the attack, PREMIUM TIMES learnt. He has been placed under close watch on his hospital bed, and might be fully detained once he is discharged from hospital, our sources said. However, Defence spokesperson, Chris Olukolade, declined to confirm or deny the arrests. He however said it is not unusual for the military to hold officers accountable for the tasks assigned to them. “Every officer who is given a mission must be made accountable for his performance, and that is not necessarily an indictment of the officer; at least until investigations are concluded,” Mr. Olukolade, a Major General, said. Suspected members of the Boko Haram sect had on January 3 attacked the base of the Multi-National Joint Task Force, MNJTF, in Baga, Borno State, dislodging the soldiers. A senior security official said the attack, which started at about 5 a.m., was one of the fiercest in recent times as soldiers battled to hold their grounds without much success. The MNJTF was created by defence and military chiefs from the six countries that make up the Lake Chad Basin Commission to combat arms trafficking, terrorism and related cross-border attacks that have continued to rise in the region. Boko Haram terrorists see the existence of the MNJTF as a major threat to their operations, hence their continued attack on the base and the town with a view to having full control of the area. In the last two years, Baga town has suffered five major attacks with high casualty – the latest being that of November 2014 when Boko Haram terrorists ambushed fishermen returning from a night fishing expedition and slit the throats of 43 of them. The terrorists also launched three different attacks on Borno’s three largest towns – Maiduguri, Konduga and Monguno on Sunday. While the attacks on Maiduguri and Konduga were repelled by the Nigerian military, Monguno fell to the the insurgents. On Monday, PREMIUM TIMES had exclusively reported how, despite warning troops to remain on alert, the leadership of the 5 Brigade failed to take the necessary steps and make the right deployment of men and equipment to check the imminent attack. The troops were indeed warned to be at alert following intelligence report that terrorists would strike between January 22 and 25. Despite the warnings, when the terrorists arrived on Sunday, the troops were taken by surprise. Military insiders said the insurgents arrived at about 2 am on Sunday, parking their Hilux vans deep into the bush, with their headlights on. Soldiers of the Brigade, who saw the unusual lights, began to shoot in the direction of the vans without knowing that the insurgents had left the vans and advanced close to the Brigade headquarters. Suddenly, the insurgents began to shoot sporadically. The troop of the Brigade, including those of the Multinational Joint Task Force [MJTF], who were camped at a school inside the barracks after they were dislodged from Baga, engaged the terrorists in a long exchange of gunfire. The biggest fighting tank owned by the brigade, known as “shika,” killed several insurgents, and wounded several others. It was such a long battle that the equipment, which provided cover for ground troops, suddenly ran out of ammunition and began to withdraw. As it withdrew, the rifle men behind also retreated, as the insurgents followed in pursuit. In the process, Brigade Commander, Mr. Yekini and a few other soldiers were wounded. It is not clear the number of soldiers and while 53 insurgents were killed in the attacks. “We could have overpowered the insurgents, but there was no enough ammunition,” an officer, who participated in the battle, had told PREMIUM TIMES. Angry mobs upset over the handling of militant group Boko Haram on Thursday pelted the motorcade of Nigerian President Goodluck Jonathan. The protesters hurled stones at the convoy as it left the palace of a traditional chief in Jalingo, the capital of the northeastern state of Taraba, where Jonathan had gone on a courtesy call before holding a rally as part of his re-election campaign. Nigerians will vote for their next president February 14. Several vehicles were damaged in the attack, according to witnesses. "As soon the convoy left the palace of the emir of Muri, the crowd threw stones and broke the windscreens of several vehicles and dented others," said Jalingo resident Clement Moses. The crowd, made up mostly of young men, was angry at the heavy military and police presence deployed for the presidential visit. Armed soldiers and policemen blanketed the city and forced businesses to close. "People were angry with the huge military deployment for the president, while Boko Haram continue(s) to run over towns and villages in neighboring Borno, Adamawa and Yobe states," said Bala Jika, another resident. "They kept shouting that soldiers should deploy to Sambisa forest in Borno state and fight Boko Haram instead of coming to the city and harassing the people already traumatized by Boko Haram," Jika said. Policemen fired tear gas to disperse the crowds. There were no immediate reports of injuries or arrests. Jonathan has come under heavy criticism at home and abroad over his response to Boko Haram. The group has terrorized northern Nigeria regularly since 2009, attacking police, schools, churches and civilians, and bombing government buildings. It has sacked dozens of villages close to the border with Cameroon this month, slaughtering residents and abducting others. Thursday was not the first time the president's convoy was attacked. On January 20, his motorcade was stoned in the northern city of Katsina, where he was campaigning. Jonathan faces a formidable challenge from a opposition alliance. Nigeria's army failed to protect Baga's civilians despite warnings that militants were going to attack, rights group Amnesty International has said. Some reports say as many as 2,000 people died in Boko Haram's raids on the north-eastern town this month, but the government puts the toll at 150. Amnesty quotes an unnamed senior army source as saying the Islamist militants told residents about the offensive. But the defence spokesman told the BBC there had been continuous patrols. "It is not true to say nothing was done," Maj Gen Chris Olukolade said in response to Amnesty International's allegations. Boko Haram launched a full-scale insurgency in north-eastern Nigeria in 2009 to create an Islamic state. But since the government declared a state of emergency 20 months ago in three north-eastern states to deal with it, Boko Haram has strengthened and now controls several towns, where it has declared a caliphate. According to evidence gathered by Amnesty International, commanders at the military base in Baga, in the far north-east of Nigeria, regularly informed military headquarters in November and December 2014 of the threat of a Boko Haram attack and repeatedly requested reinforcements. There were also warnings that the town of Monguno, about 140km (85 miles) north of Maiduguri city which was captured by Boko Haram on Sunday, would be attacked. "Everyone was aware," a Monguno resident told Amnesty. "Boko Haram came on Wednesday last week [21 January] and asked the villagers [in nearby Ngurno] to leave because they are coming to attack the barracks. The villagers told the soldiers." Amnesty International's Africa director Netsanet Belay said the attacks were an "urgent wake-up call for the Nigerian leadership, the African Union and the international community". Maj Gen Olukolade said in operational areas surveillance would have been continuous to ward off attacks. Earlier this month, Chadian soldiers deployed to Cameroon's border with Nigeria to help secure the porous border. African Union heads of state are going to include the conflict in north-eastern Nigeria on the agenda of their summit, due to begin on Friday. Alexa an Amazon.com company, the global pioneer in the world of analytical insight, ranks Jumia.com.ng as the biggest e-commerce website in Nigeria, still ranking as the most visited local content website in the Nigeria. Looking at the exploits of Jumia over the past year, it is not hard to see why this widely trusted shopping website is visited by several millions month on month.While this is a big deal for any brand, the company however hasn’t rested on its laurels of providing quality retail services to its customers, always consistently and aggressively fighting to get the best deals for its customers. It still eludes many as to how this giant in 3 years has become one of the most influential brands in Nigerian business circles. Jumia.com.ng is building organized retail in Nigeria and empowering Nigerians with great deals. Currently running its Fashion Super Clearance Sale with 80% off fashion products. The guys at Jumia with their knack for giving customers an exciting retail experience are also launching a Valentine’s campaign, with a special something on February 4th where Nigerians can log on to jumia.com.ng to ‘Vote for Love’. On the eccentric shopping campaigns at amazing deals the retailer is known for; “Retail is a lifestyle. It’s what you see, what stirs your senses, what you feel, what makes you who you are…Retail is a day to day of each and every one of us, and as such a personal experience that should be close to home”, Dr. Jonathan Doerr, MD Marketing, Jumia Nigeria. From becoming the first African retailer to bring home an award in the coveted World Retail Awards, pioneering and building organized retail in Nigeria, empowering Nigerians with quality retail information and the widest array of products anywhere in the country, Jumia.com.ng keeps blazing the trail and breaking new frontiers. A visit to Nigeria's Mile 12 market in Lagos can be a harrowing experience owing to congestion and general disorder. It is a lot worse if you are unfamiliar with it. But as any good entrepreneur will tell you, chaos is not always a bad thing and many times presents good business opportunities. And that is exactly what a young Nigerian woman has done as Deji Badmus now tells us. When the Boko Haram fighters swept into her town, Salamatu Billi fled for her life, running so fast that she didn’t even think about her identification documents. Today, after five months of homelessness, she has learned that she cannot cast a ballot in Nigeria’s crucial election next month, the most closely contested in the country’s history. Having already lost her life’s possessions when Boko Haram captured her town in northeastern Nigeria, she has now also lost the right to vote. More than a million Nigerian refugees and displaced people are in a similar dilemma, facing the danger of disenfranchisement as one more indignity after losing everything else to Boko Haram. Millions of other citizens are unlikely to get their voting cards in time to participate in the Feb. 14 election, for a range of bureaucratic reasons. It’s emerging as one of the fiercest controversies of the campaign, threatening to damage the legitimacy of the winning candidate and heighten the risk of postelection violence. Many displaced people, such as Ms. Billi, cannot get voting cards because they lack documents, missed the chance to be registered when they fled, or are too frightened to return to their home state, where they must vote under election rules. As much as 20 per cent of Nigerian territory is under Boko Haram’s control, and voting will be virtually impossible there. There are widespread suspicions that Nigeria’s ruling party, the People’s Democratic Party, will use the voting-card problems and the Boko Haram crisis to seek a substantial delay in the election. The government’s national security adviser, Sambo Dasuki, last week called for a delay in the election, claiming that 30 million voter cards have not been distributed to eligible voters. Nigeria’s election commission has denied the charge, saying that only 13 million cards were uncollected as of last week, and many of those will still be distributed before the election. But the claim of 30 million disenfranchised voters is still circulating, promoted by those who want to postpone the election. Anonymous brochures have begun appearing in the capital, Abuja, demanding a 60-day delay in the election. “Please support this call to save our nation from imminent disaster,” the brochures say. Mike Omeri, an official Nigerian government spokesman, said it wouldn’t be fair to hold the election if half of the 68 million registered voters cannot vote. A postponement of perhaps six weeks could be a fair alternative, he said in an interview on Monday. But regardless of whether the election is delayed, the reality is that millions of Nigerians have been effectively disenfranchised because of the Boko Haram rebellion. The disenfranchised voters are just one of the election flashpoints, sparking fears of widespread violence in Africa’s most populous nation and biggest economy. At least 800 people were killed in rioting after the past election, in 2011, and next month’s vote is expected to be much closer and more contentious. It’s being described as the first contest between two relatively equal parties, and the first in which the opposition has a realistic chance of winning. Tensions will be high, compounded by religious and regional stresses. Mr. Jonathan, a Christian from southern Nigeria, is running against Muhammadu Buhari, a Muslim from the north, with many northerners claiming Mr. Jonathan violated a tradition of rotating the presidency between the north and south. A recent Gallup opinion poll found that only 13 per cent of Nigerians are confident in the honesty of the elections next month, compared to 51 per cent during the past election. 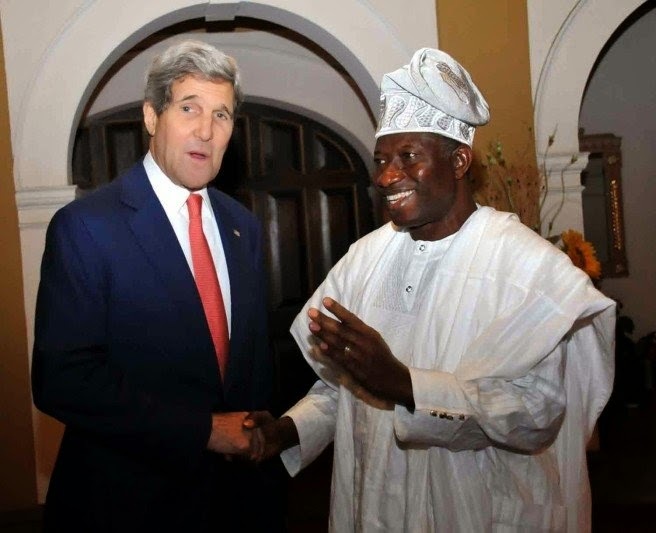 The U.S. Secretary of State, John Kerry, gave the advice at a news conference on Sunday in Lagos at the end of a closed-door meeting he held with President Goodluck Jonathan and Muhammad Buhari, the presidential candidates of the Peoples Democratic Party, PDP, and the All Progressives Congress, APC, respectively. “The U.S. government strongly believes in Nigeria having credible, free and fair elections next month,” Mr. Kerry said. Mr. Kerry said that he was impressed with the outcome of his meeting with the two major presidential contenders in the forthcoming elections. “We want to say that any Nigerian who promotes any form of violence during the elections remains ineligible for U.S. visa,” Mr. Kerry said. Mr. Kerry said that President Obama specifically sent him to meet with the two candidates with a view to having a violence-free election. Mr. Kerry also refuted allegation that the U.S. would in future discriminate against Nigerians and other West Africans suspected to have contacted the Ebola Virus Disease, EVD. Nigerian Islamist Boko Haram fighters have attacked the strategically important north-eastern city of Maiduguri, with dozens reported dead. Earlier on Sunday they captured the north-eastern town of Monguno. The BBC's Will Ross in Lagos says that with the insurgents gaining ground, Maiduguri is increasingly at risk. US Secretary of State John Kerry meanwhile has arrived in Nigeria to call for peaceful elections next month which need to set "a new standard". The vote looks set to be the closest since the end of military rule 15 years ago. Our correspondent says that Mr Kerry is in Nigeria to show solidarity in the fight against Boko Haram, which has increased its attacks in recent days. People in Maiduguri woke up to the sound of explosions and heavy gunfire as Boko Haram launched a pre-dawn attack on this strategic city. Ground troops, air strikes and local vigilantes managed to stop the jihadists from penetrating the city. Much of the fighting was around a barracks. In a separate attack the town of Monguno was captured - the latest to be seized by the group. With the insurgents gaining more and more territory Maiduguri is increasingly vulnerable. It is home to tens of thousands of people who have fled their homes because of the conflict. Fierce fighting has been reported on the outskirts of Maiduguri. A curfew remains in place and dozens of militants and soldiers are reported to have been killed. Human rights group Amnesty International has warned that hundreds of thousands of civilians are now "at grave risk''. Militants also attacked Monguno, 140km (86 miles) north of Maiduguri. The army there was reported to have been overwhelmed, with houses set on fire. A journalist in Maiduguri told the BBC that fleeing soldiers from Monguno were now arriving at the barracks in in Maiduguri. Boko Haram, which means "Western education is forbidden" in the Hausa language, launched guerrilla operations in 2009 to create an Islamic state. Thousands of people have been killed throughout the insurgency, mostly in north-eastern Nigeria. "We are prepared to do more [to counter the Boko Haram threat] but our ability to do more will depend to some degree on the full measure of credibility, accountability, transparency and peacefulness of this election," Mr Kerry said. Nigeria was earlier this week awarded 8.1 million US dollars in funding in a final push to eradicate polio. Africa's most populous nation has so far been polio-free for six months. Nigeria's government was under pressure Tuesday to cut petrol prices further, with unions saying people were being "short-changed" over the global crude price plunge. The main opposition accused the government of "tokenism" before the February 14 elections, after Petroleum Minister Diezani Alison-Madueke announced 10-naira (five US cent, 4.5 euro cent) reduction on Sunday. A litre of fuel at the pump in Africa's most populous nation and top oil producer now costs 87 naira. But the opposition and unions said the price of petrol as well as diesel and kerosene should be slashed further. The All Progressives Congress (APC) said in a statement on Monday that the new price of petrol was "mere tokenism at a time the price of crude oil has crashed by about 60 percent". Party spokesman Lai Mohammed said the government should immediately cut the price of petrol to 70 naira a litre and diesel and kerosene to no more than 90 naira. Mohammed charged that state corruption was to blame for the size of Sunday's reduction, saying the government was unwilling to reduce the price further as it would hit its so-called "commissions". The plunge in crude prices to below $50 a barrel has slashed the Nigerian government's revenue, forcing it to revise its 2015 budget forecast. Africa's leading economy based on gross domestic product derives 70 percent of government revenue and 90 percent of foreign exchange earnings from crude sales. Nigeria currently produces 1.75 million barrels of crude a day, according to OPEC, but imports most of its refined petroleum products, which the government subsidises to keep prices low. A devaluation of the currency against the US dollar has also hiked the cost of imports, with a knock-on effect on the price of imported goods and services to consumers. Peter Ozo-Eson, general-secretary of the Nigeria Labour Congress workers' union, echoed calls for further reductions at the pump. "If we consider all the variables in determining petrol prices, Nigerians are still being short-changed," he told AFP. "The 10-naira drop is not enough. It should have been 30 percent or even more. If you check other oil-producing nations, you will notice that the drop is at least one-thirds." Nigeria has maintained its top spot as the frontier-market economy that is attracting the most attention from American and European multinationals for potential future investments. This is according to the latest Wall street journal (WSJ) frontiers and frontier strategy group (FSG) frontier market sentiment index. Despite February election causing jitters among investors, corporations are still watching the country. Nigeria has held the top spot since the index was launched in June 2014 despite having endured a rough ride for the past few months. The study was based around 200 multinational companies, the index, created exclusively for WSJ Frontiers by Washington-based consultancy FSG and tracks which frontier markets are targeted the most by major European and American firms. The index also reveals trends in corporate thinking by tracking the rate of change in corporate sentiment among FSG’s clients such MasterCard and Cisco. Corporate sentiment is calculated as the percentage of companies that include a country on their watch-list. If 50 of the 200 companies are watching a particular country, the sentiment index score would be 25 percent. Nigeria’s travails have primarily been caused by its heavy reliance for foreign exchange and tax revenues on crude oil, whose price has slumped by more than 52 percent since June 2014. Presidential elections are due in less than a month, and the outcome is still too close to call. Recent attacks by Boko Haram continue to have a negative impact on perceptions of Nigeria. But for corporations looking beyond the short-term turmoil, the country’s problems may provide an opportunity to buy into Africa’s biggest economy at a discount. “Nigeria is about to enter a world of hurt but these are the times when you can really make a difference – both from investors’ point of view and corporates’,” says Matt Lasov, FSG’s global head of advisory and analytics. Lasov argues that the sharp devaluation of the Naira will push up prices of imported products, encouraging Nigerians to buy more locally produced goods. “Companies that produce locally will capture a huge amount of market share,” he says. At the same time, the Naira’s decline will make it cheaper for foreign firms to acquire Nigerian assets. “The reason the country is gaining more attention while other oil exporters’ appeal to corporations is shrinking is because companies are opportunistic,” Lasov adds. Vietnam, with a gain of 1.98 percentage points, climbed to second place on the list. Like Nigeria, the country is a perennial favourite among frontier investors but has seen some turmoil over the past year. The trends in corporate attention illustrate starkly the impact lower oil prices are having on other oil-dependent frontier markets. The three worst performers in terms of change in sentiment in this quarter’s survey are all oil exporters: Angola, Saudi Arabia and Venezuela. Although lower oil prices are arguably beneficial for a significant proportion of frontier markets, the confusion and anxiety over the impact of the precipitous fall in prices hit the sector’s equities hard. Speaking through his campaign organization, the All Progressives Congress Presidential Campaign Council, Mr. Buhari asked the government to “stop stealing from Nigerians and allow them enjoy the relief that has come to consumers of petroleum products globally”. The APC candidate had said, “The price of diesel which has been deregulated since 2009 still sells at the pump price of N150 and N170 per litre, the same pump price when the international benchmark per barrel of crude was over $100. Now that the international benchmark has dropped to $47.5 (USD) per barrel as at Monday, we ask: where is the deregulation and the relief which it ought to bring to local consumers of diesel? The Trade Union Congress [TUC] had earlier on January 5 asked the government to take advantage of the falling oil prices to reduce retail prices of petroleum products. The TUC had argued that the best time to review the retail pump price of petrol was now, in line with the argument put forward by government in 2012 when the price was adjusted from N70 per litre to N97. President Goodluck Jonathan makes surprise visit to insurgency-plagued northeast Nigeria, a rebuff to critics who say he has ignored the plight of victims of Boko Haram. Deborah Lutterbeck reports. The Catholic Archbishop of Jos, in central Nigeria, has accused the West of ignoring the threat of the militant Islamist group, Boko Haram. Ignatius Kaigama said the world had to show more determination to halt the group's advance in Nigeria. He said the international community had to show the same spirit and resolve it had done after the attacks in France. His warning came after 23 people were killed by three female suicide bombers, one reported to be 10 years old. Archbishop Kaigama told the BBC's Newsday programme that the slaughter in Baga had shown that the Nigerian military was unable to tackle Boko Haram. "It is a monumental tragedy. It has saddened all of Nigeria. But... we seem to be helpless. Because if we could stop Boko Haram, we would have done it right away. But they continue to attack, and kill and capture territories... with such impunity," he said. The UN Secretary-General, Ban Ki-Moon, said he was appalled by reports of the killings in Baga and condemned what he called "the depraved acts of Boko Haram terrorists". The Nigerian military has said it is trying to retake the town but has given few details about the operation. On Saturday, it said it had successfully fought off Boko Haram fighters trying to capture another major north-eastern town, Damaturu. A BBC correspondent in Lagos, Will Ross, says it was a rare success for the army, which on the whole has failed to protect civilians from the relentless violence. Our correspondent says Nigeria's politicians appear more focused on next month's elections and President Goodluck Jonathan has not commented on the recent violence. On Sunday, two female suicide attackers killed four people and injured more than 40 people in the town of Potiskum. Archbishop Kaigama said facing down Boko Haram required international support and unity of the type that had been shown after last week's militant attacks in France. "We need that spirit to be spread around," he said. "Not just when it [an attack] happens in Europe, but when it happens in Nigeria, in Niger, in Cameroon. In June, Britain said it would increase its military and educational aid to help Nigeria tackle Boko Haram. The aid includes counter-insurgency training for troops, which is also being provided by the US military. However, Nigeria has criticised the US for refusing to sell it weapons because of alleged human rights abuses committed by Nigerian troops. Jos, where the archbishop is based, has a mixed population of Muslims and Christians and has faced attacks by Islamist militants, although it is some distance from Boko Haram's strongholds. Last month more than 30 people were killed in twin bomb attacks on a market there. Churches have also been targeted in what are believed to be attempts by the militants to foment religious tension. A French-led initiative has called for Nigeria, Niger, Cameroon and Chad to contribute 700 troops each to a multinational force against Boko Haram, but no country has implemented the plan. Niger has blamed Nigeria, saying it has not kept to commitments regarding its own troop levels. The recent row between Nigeria and the United States over assisted military training may not be unconnected with the inability of the Nigerian government to fulfill its own part of the deal. Two months ago, the Federal Government of Nigeria cancelled the military training arrangement it had with the United States without providing official reasons to the public. In a terse statement regretting the premature termination of the training, the US Embassy in Lagos had last month stated that the cancelled training was to be the third in a series of training programmes the US military was handling with its Nigerian counterpart with the goal of helping the Nigerian Army build capacity to counter the Boko Haram insurgents. However, in an interview with select journalists at his residence in Lagos yesterday, the US Ambassador to Nigeria, James Entwistle, disclosed that there was an agreement between Nigeria and America on the provision of equipment and trainers for the Nigerian military, which Nigeria failed to honour. He said: “We had, at Nigeria’s request, agreed to train some battalion, in my opinion, some of the best trainers in the world have been provided by the United States. The agreement was that we would provide the trainers and the Nigerian Army would provide the equipment we need to properly conduct the training and that was agreed well ahead of time as part of our partnership. Entwistle, whose breakfast meeting with the select journalists was centred on the donation of a decommissioned warship, NNS Okpabana, to Nigeria by the US, further reiterated the US position on the forthcoming general elections. “The United States’ position on the election is quite clear. For the past years I have been talking about the importance of non-violence in the elections. I have been doing that and I have seen that the civil society and the Nigerian media have taken this up too. I even went to one or two of Tuface’s hip-hop concert ‘Vote not fight’ campaign. So, that is the message the United States will continue to preach, especially to urge all candidates to probably commit themselves that they will not support or engage in violence before, during and after the elections. I think that is key in any democracy,” he said. overcome terrorism in recent times more than the US. “In terms of what is happening in the North-east and military relationship, we have all seen in recent months a lot of stuff about the US imposing an arms embargo. I am here to tell you as President Obama’s personal representative to this country that that is nonsense; that is not true. “We have given this ship, NNS Okpabana as part of our commitment to strengthen security in Nigeria. We have a number of discussions on the way right now. A good portion of the assistance we give every day on the war against terror are things I can’t talk about that much, but I can assure you that no partner is doing more to assist Nigeria in its fight against terror now than the United States of America. We have seen the most unfortunate incident in Baga and that underlines to me the importance of continuing this fight. “We are still talking about a number of equipment, different kinds of helicopters that can be more appropriate to that kind of thing. But, what are our human rights considerations? When I got here about two years ago, there were discussions about the conduct of the Nigerian Army in the North-east about the treatment of the civilian population. It was reported in your media. This is not something we came up with. “Nigerians themselves were focusing on it. So, we have had a lot of discussions with the Nigerian Army about the need to, as you fight terror, you also have to protect the civilian population and keep them on your side. As in time past, Entwistle insisted that Nigeria would not disintegrate as being bandied about by some people. He added: “Whenever I travel around this country, I always try to go to the universities and have big sessions to give talks to students and have questions and answers and whenever I do that, I leave with incredible sense of optimism about Nigeria when I get to know your best and brightest. So, are there challenges for Nigeria under the horizon? Sure, but I have no doubt that Nigeria will muscle them, will move on. Nigeria topped the list of Christians confirmed to have been killed for faith-related reasons around the world last year, according to an annual survey monitoring religious freedom, which says radical Islamists were the main persecutors of Christians, not only in the Middle East but increasingly in sub-Saharan Africa. Rankings are based on the group’s analysis of violence against Christians and official or informal restrictions on rights to practice their faith, convert from other religions and enjoy the same civil liberties as other citizens. Topping the list of Christians confirmed to have been killed for faith-related reasons were Nigeria at 2,484 and Central African Republic at 1,088, with Syria and Iraq – where Islamic State militants have driven hundreds of thousands of Christians from areas they control – at 271 and 60, respectively. “Islamic extremism has two global centres of gravity. One in the Arab Middle East, but the other is in sub-Saharan Africa,” researcher Ron Boyd-MacMillan wrote in a report accompanying the survey. “Even Christian majority states are experiencing unprecedented levels of exclusion, discrimination and even violence,” he wrote. North Korea topped the list of countries most hostile to the world’s largest faith for the 13th consecutive year followed by Somalia, Iraq, Syria, Afghanistan, Sudan, Iran, Pakistan, Eritrea and Nigeria. Christianity has an estimated 2.2 billion followers compared with Islam at 1.6 billion. The 4,344 Christians killed in the survey year to October 31 were more than double the 2,123 victims in 2013, it said. Boyd-McMillan said rising persecution was less due to the major incidents of violence during the year than to what he called “increased cultural marginalization” making daily life ever more difficult for Christians. These trends had also grown in countries with religious nationalist movements such as Hindu-majority India and Buddhist-majority Sri Lanka, he said. China registered the most attacks on churches, at 258. On the positive side, the report said the Middle East’s splintered Christian groups “have drawn together in a remarkable new unity”, especially in Syria, and Muslim leaders opposed to Islamic State have shown more support for Christian minorities. The mud stinks and the crabs caught in the swamps around the town of Bodo in the Niger delta still smell of light crude oil. But the 15,600 Ogoni farmers and fishermen whose lives were devastated by two large Shell oil spills in 2008 and 2009 will be celebrating on Wednesday as the company’s Nigerian subsidiary announces a £55m settlement. British banks will start to transfer 600,000 naira (about £2,100) into each of the local people’s accounts and the community will be given millions to build health clinics and refurbish its schools. The settlement, split £35m for individuals and £20m for the Bodo community, avoids Shell having to defend a potentially embarrassing London high court case which was due to start shortly. It is thought to be the largest payout to any African community following environmental damage and the first time that compensation for an oil spill has been paid directly to affected individuals rather than to local chiefs. “It’s several years’ earning. I don’t think I have ever seen a happier bunch of people. The minimum wage in Nigeria is 18,000 naira a month and 70% of the Bodo population live below the poverty line. Every single one of the 15,600 has said yes to the deal,” said London lawyer Martyn Day whose team of 20 has just returned from the delta after negotiating the settlement and helping to set up thousands of bank accounts for Ogoni people who did not have one. Shell’s first offer to the Bodo community in 2011 is understood to have been £4,000. This was raised to £18m in 2013 but was also rejected. According to Shell, the villagers had demanded £300m for the damage done. In a seperate development, the company’s Nigerian subsidiary Shell Petroleum Development Company of Nigeria (SPDC) said it expected to start to clean up its pollution in the Bodo fishing grounds and swamps “within months”. Shell had initially estimated that around 4,000 barrels of oil were spilt in the two events, but oil experts calculated from film footage that it could have been 60 times as much. According to Amnesty International, Shell had intentionally underestimated the spills in an attempt to minimise compensation payments. This was denied by Shell. The company welcomed resolution of the case but blamed oil thieves for most of the many spills that occur every year in the delta. “From the outset, we’ve accepted responsibility for the two deeply regrettable operational spills in Bodo. We’ve always wanted to compensate the community fairly and we are pleased to have reached agreement,” said Mutiu Sunmonu, Managing Director of SPDC. “However, unless real action is taken to end the scourge of oil theft and illegal refining, which remains the main cause of environmental pollution and is the real tragedy of the Niger Delta, areas that are cleaned up will simply become re-impacted through these illegal activities,” he said. But Amnesty International accused Shell of trying to evade its responsibilities and said thousands of other people living near its old pipelines were at risk from spills. Legal firm Leigh Day, who represented the Bodo community, warned that the pay-out could now lead to other Nigerian oil spill cases being heard in the London courts rather than in Nigeria. “This will open the door. We have four or five other cases which we have been asked to look at. We and others will look to bring other cases. We are pleased that Shell has done the decent thing but it is deeply disappointing that it took them six years to take this case seriously and to recognise the true extent of the damage caused to the environment and to those who rely on it for their livelihood,” said Day. Chief Sylvester Kogbara, chairman of the Bodo Council of Chiefs and Elders said: “The community can start to live again. For the last few years people here have had no income at all. It has been very painful. We cannot start fishing again but we start business and begin to trade. There is some optimism again. Shell and other oil companies were slated by the UN Environment programme, Amnesty International and the Nigerian government for their lack of action in cleaning up dozens of major spills in Ogoniland. The 400sq mile coastal region which, under the leadership of Nigerian writer Ken Saro-Wiwa, rose peacefully against the company in the 1990s in protest against spillages, is one one of the least developed regions in Nigeria. The country most addicted to the Internet is Brazil, according to a new study from business consultancy A.T. Kearney. The study surveyed people who go online at least once a day, and found that 51% of Brazilian Internet users said they were online all day long, while 20% go online more than 10 times a day. This is largely due to access to smartphones; the country has the second highest smartphone penetration in South America. Unsurprisingly, most of those who spend the most time online are young (53% were aged 16-35) and unmarried (also 53%). 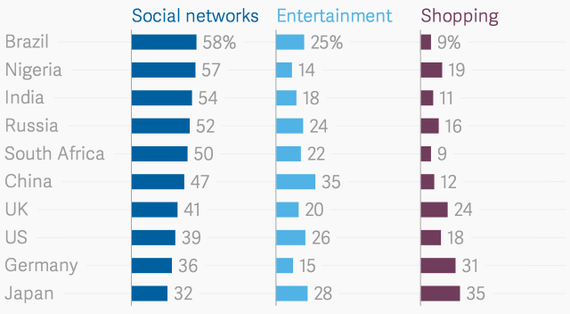 And a lot of Internet use is driven by social networking: In Brazil, those surveyed spend 58% of their time online on social networking sites—more than in any other country. Nigeria and South Africa, where 66% and 61% of survey respondents respectively go online at least once an hour, come in second and third for heavy Internet use. Their rates are nearly double that of China, where only 36% of respondents reported hourly use. Nigeria bitcoin users will be happy to learn that we are pleased to announce the launch of the the Naira market on ICE³X. The Market will officially begin trading on the 12th January 2015, but users are able to sign up and verify their accounts from today. An exclusive agreement with Nigerian payment processor, VoguePay, now allows clients to trade bitcoin in their native Naira using their existing VoguePay wallets to fund their transactions, which execute on the robust trading platform that ICE³X have been developing over the last 2 years. Being a full order book exchange, ICE³X affords VoguePays’ clients in Nigeria the opportunity to place buy/sell orders for bitcoin instantly with further integration possibilities already in place to provide full crypto-merchant services to customers. According to the Nigeria Communications Commission, in June 2013 the country had 48.1 million active internet subscriptions through mobile phone networks, yet this space has been largely ignored by the internet currency advocates. “As the biggest economy in Africa, with over 40 million people connected to the internet in one way or another, it’s only natural that Nigeria is looking to take part in the opportunities that the internet affords everyone around the world. With our daily lives becoming more global and the world population & migration statistics ever increasing, it makes perfect sense to have a global mechanism, accessible by all, which operates in a self regulated eco-system, as “payment rails” for the masses connected via the web. 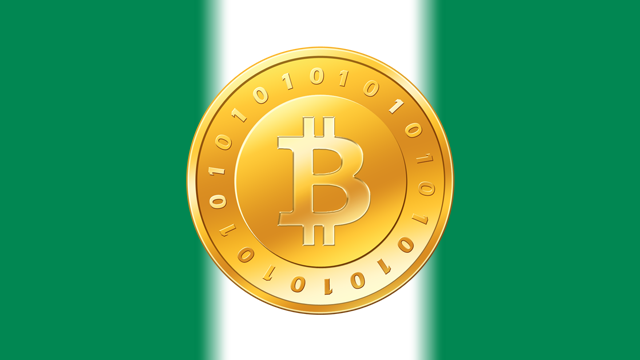 We have to be realistic though, the Bitcoin technology has yet to be packaged and applied correctly for it to be a mainstream alternative currency, but as an agnostic payment settlement mechanism within a larger framework it ticks all the boxes and could perhaps have a significant impact on shaping the Nigerian digital economy landscape. It is a market that simply just cannot be ignored any longer” – Gareth Grobler, Founder ICE³. VoguePay is an online payment processor whose vision is to offer buyers and sellers a secure and easy-to-use means of transacting business online. They combine local and international knowledge and apply this to keep business connected with cutting edge financial technology. Their executive and research teams are based in Canary Wharf, London’s financial district with their development, operations and professional services groups located in Lagos, Africa’s largest market. Through this unique opportunity VoguePay are pioneering cross border processing capabilities using Bitcoin in Africa and not just Nigeria Bitcoin businesses. The company is dedicated to bringing secure and effective payment processing facilities to Nigeria and is rapidly expanding their product offering to include alternative currencies. “It’s been an amazing year for VoguePay. As we recently launched our latest platform (V 2.0), thousands of transactions have already experienced our unique service that our platform has to offer; and we are excited to be recognised as the best Nigerian online payment platform. Building relationships with reputable companies such as iceCUBED in South Africa, who are also focused on making e-payment accessible to as many people as possible; we will continue to set the pace of the Nigerian online payment industry. The example we are setting will pave the way for young African entrepreneurs to foster better business relationships, making the online markets more accessible to millions of Africans.” -VoguePay Compliance and Marketing director, Geoffrey Weli Wosu. The Naira Market on ICE³X is currently live in the production environment and users are currently being verified in anticipation of the official market opening on 12th January 2015. ICE³X have been operating a successful bitcoin exchange in their native currency, Rand, since August 2013 and are also launching the Dollar and Sterling markets on the exchange at the end of January 2015. The UN may have stepped in to avert the execution of the 54 Nigerian soldiers who were recently convicted and sentenced to death for refusing to fight against the insurgent group Boko Haram, if indications from a Non-Government Organisation (NGO) are anything to go by. According to the Nigeria-based Socio-Economic Rights and Accountability Project (SERAP), the Office of the UN Special Rapporteur on Extrajudicial, Arbitrary or Summary Executions, Mr. Christof Heyns, has promised “appropriate action including communication to the government of President Goodluck Jonathan'' to avert the soldiers' execution. “SERAP has been in discussion with Johel Dominique at the Office of the Special Rapporteur on extrajudicial, arbitrary or summary executions both on the telephone and via email. Johel Dominique has confirmed that the Special Rapporteur is considering appropriate action to avert the imminent execution of 54 soldiers on death row in the country. ''We have also confirmed to the Special Rapporteur that SERAP has the consent of Mr Femi Falana, SAN, the legal counsel to the 54 soldiers to file the petition,” the NGO said. On 17 Dec., 2014, a Nigerian military court convicted 54 soldiers for conspiracy to commit mutiny and sentenced them to death by firing squad. The conviction and sentence have generated controversy in Nigeria, with key opposition leaders and some retired military officers saying the soldiers, who claimed they were poorly equipped, were right to refuse to fight against a better-armed insurgent group. Nigerian military courts have been engaged in a spate of trials resulting from the actions or inaction of troops deployed to battle the insurgency. Twelve other soldiers were sentenced to death in Sept. 2014 while many other trials are pending. President Goodluck Jonathan’s younger sister, Nancy Jonathan-Olei, died on Sunday, a statement from the family said. The announcement is contained in a statement issued by the Special Adviser to the President on Media and Publicity, Reuben Abati, in Abuja. According to the statement, Mrs Jonathan-Olei, 52, passed on in the early hours at a hospital in Yenagoa after a brief illness. It said that the burial arrangements would be announced later by the family. Parents of 200 Nigerian schoolgirls kidnapped by Islamist rebels in April said they were appealing directly to the United Nations for help after losing hope that the Nigerian government would rescue them. A group lobbying for government action on behalf of the parents met with U.N. Women, the head of the U.N. representation in Nigeria, and with officials of the U.N. Office for West Africa last month. The group has also appealed to UNICEF, campaign spokeswoman Bukola Shonibare said. U.N. officials were not immediately available for comment. "If the government cannot take action, we are asking for the UN to come in and help and if they reject, we just don't know what to do," Reverend Enoch Mark, leader of the parents, told Reuters. Two of his daughters were kidnapped. It is not clear what any U.N. agency could do without Nigerian government approval. More than eight months since the abduction of the girls from Chibok, in remote northeastern Borno state, parents say they are still in the dark about what the government is doing. A presidential spokesman said efforts to free them continue but that details of the missions are too sensitive to publish. On April 14, Boko Haram militants raided the school while the girls were taking exams. They loaded 270 of them onto trucks. Around 50 escaped shortly afterwards. Boko Haram, which is fighting for an Islamic state and whose name means "Western education is sinful", had been kidnapping children for more than a year, but the scale of this attack shocked the world and sparked a #BringBackOurGirls Twitter campaign that drew in celebrities including Michelle Obama. The five year old insurgency has killed thousands of people, displaced more than a million and raised fears voting in presidential elections on February 14 will be impossible across stretches of the northeast. "The Chibok community is pained, we cannot take this anymore," Dauda Iliya, spokesman for the Chibok community in Abuja, said at a New Year's Day rally of parents, adding that they had written to the United Nations to "protest this neglect and nonchalance by the government." President Goodluck Jonathan says the government is trying to free the girls but a botched rescue mission would endanger them. Dozens, possibly hundreds, have been kidnapped since the Chibok attack. Two weeks ago, gunmen abducted 172 women and children from Gumsuri, 24 km from Chibok. Nigeria and Cameroon now appear to be making concerted effort in the fight against the militant Islamic sect Boko Haram. Cameroon launched air strikes on the sect for the first time this week killing dozens of militants. Nigeria is carrying out similar strikes on the insurgents, pushing them out of towns they had captured. The Nigerian Army has dismissed 203 soldiers after a secret court martial held in the dead of the night, for allegedly disobeying a direct order from their commanding officer, PREMIUM TIMES has learnt. One of the sacked soldiers, who spoke on condition of anonymity, said the soldiers were dismissed for asking for support equipment, following the army’s plan to convey them in a tipper for an operation in Bama and Gwoza, two strongholds of Boko Haram insurgents. The soldier, who is originally of the 19th Battalion in Okitipupa in Ondo State, but attached to the 7th division in Maiduguri, said the army detained them for over 90 days before dismissing them after a midnight trial. He said they are owed up to five months in unpaid salaries. Narrating the event that led to their dismissal, the soldier said his unit reconvened in Maiduguri last August, after they were dislodged by the insurgents in Damboa in an operation where their commanding officer and several other soldiers were killed. He said they were given two weeks pass and that at the expiration of their pass, they were issued new uniforms, boots and 30 rounds of bullets each as opposed to the statutory 60 rounds. And were going to be conveyed in a tipper lorry to Gwoza and Bama for an operation. He said having engaged the insurgents in several past battles, majority of the soldiers argued that the operation would be fierce, and therefore requested support equipment. “So we asked for support weapons. No support weapon was provided. Our CO (Commanding Officer) said he would discuss with the GOC (General Officer Commanding) of the 7 Division at the headquarters. When he came back, he said we should stand down. We thought all was well,” our source said. But the request made by the soldiers fetched them more than they bargained for. The next day their new CO, Mohammed A, a lieutenant colonel from 195 battalion, Agenebode, ordered them to submit their weapons and uniforms or be charged with mutiny. “On the morning of 16 of August, after the GOC briefing, our commander started calling our names and he said anyone whose name is called should submit their uniform and weapon. He added that anyone who failed to do that would be charged for mutiny. We were surprised at what was happening. The next order from the army hierarchy was for the soldiers to report to the 4th Brigade headquarters in Benin where they were detained for three months. “They kept us in the fenced field at the officers’ mess in 4th battalion headquarters. When we first arrived at Benin they took statements from us and took it to Maiduguri. The original charge against us was for deserting but after our statements were taken they changed the charge to disobedient to particular order. They said we disobeyed the CO’s order. They seized our phones, we couldn’t communicate with our families for the 90 days we were kept in detention,” our source said. After they were released on December 24, they were conveyed to their various units. The soldier said on getting to their units, a court martial was set up at about 11.30 p.m. where they were tried and dismissed. He said the next morning, they were evicted from the barrack with their families. Army spokesperson, Olajide Laleye, a Brigadier General, could not be reached for comments on Thursday. Calls and messages to his telephone were not answered or returned. The dismissal of the 203 soldiers followed a wave of court-martialling of other soldiers for mutiny and other offences. On December 24, a military court-martial that sat in Abuja sentenced four soldiers to death by firing squad for alleged mutiny. That judgment came just about a week after another batch of 54 soldiers were condemned to death for refusing to fight the deadly Boko Haram sect. The 54 soldiers belonged to the 111 Special Forces battalion attached to the 7 division of the army in Maiduguri. They are to die by firing squad, the military court ruled. The soldiers were accused of disobeying a direct order from superior officers to take part in an operation aimed at dislodging Boko Haram terrorists from Delwa, Bulabulin and Damboa in Borno State. The soldiers said they refused to take part in the operation because the Army did not provide them with the required combat and support equipment needed for such operations. Earlier, in September, 12 soldiers were sentenced to death for allegedly shooting at a car conveying their commanding officer, Ahmed Mohammed, a Major General. The attack occurred May 14 at the army’s 7 Division, Maimalari Barracks in Maiduguri, headed at the time by Mr. Mohammed. Others were also sentenced to life in jail for criminal conspiracy and attempt to commit murder. The soldiers revolted after some of their colleagues were ambushed and killed by Boko Haram extremists, an attack they blamed their commander for. Yet, more soldiers remain on trial for their conducts in the fight against the extremist sect, and face being sentenced to death. On December 23, another batch of 118 soldiers were transported from Maiduguri, the Borno State capital, to face charges in Abuja, the nation’s capital. It is not clear when the troops would be arraigned before the military court, but our sources said unlike their colleagues who were convicted December 17, the 118 soldiers are accused of offences less than mutiny. Also, 22 top officers, including a brigadier general, are being held at the Ikeja Military Cantonment in Lagos, preparatory to being arraigned for yet unclear offences. They could not be arraigned on December 22 because the court was not properly constituted. Their arraignment has now been scheduled for a date in January. The convicted soldiers, apart from the four that were sentenced December 24, have been moved to Lagos to await appeal, pardon or execution.